When we are ready to purchase a set of concrete mixing station equipment, we often see many mixing plant equipment with different production capacity. 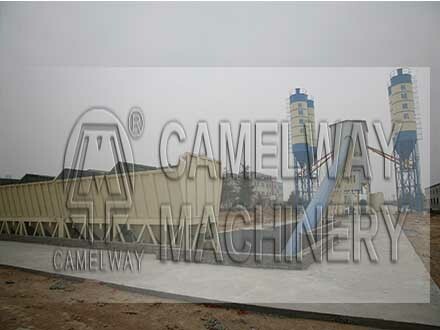 Such as HZS25, HZS35, HZS50, HZS90, HZS120, HZS180 concrete batching plant. Different yield ability of mixing station means produce per hour 25 cubic, 35 cubic, 120 cubic meters, etc. Is this practical produce ability? The answer is no, parametric yield ability marked prolificacy just in theory, and practices differ from that prolificacy. If we use HZS25 mixing plant, it can produce 25 cubic per hour, but practice prolificacy less than 25 cubic/h, practice prolificacy usually per hour can reach 20-23 cubic. We produce in practice because of many objective reasons, for example, operational proficiency, reasonable degree of equipment , quality of equipment and so on will affect the production capacity of mixing plant. These conditions may be many users don’t know, my company would like to use our professional knowledge and rich experience to provide users with the best quality mixing plant equipment and the perfect team. Welcome to contact us.